Jenga is a game about moving pieces of wooden blocks from one part of the tower to the other, in order to build something more creative and useful out of the out of the box design. 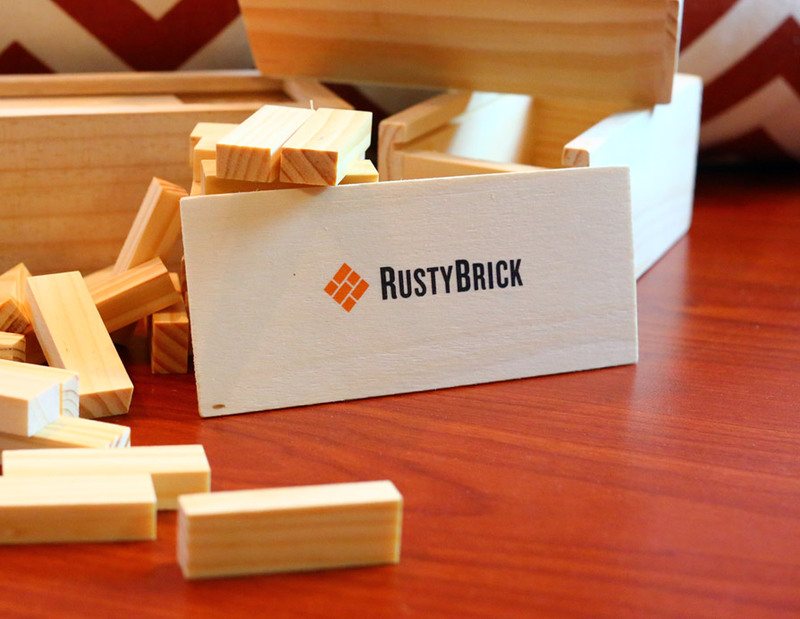 The RustyBrick philosophy is about thinking outside of the box to build you a creative and more efficient set of tools for your organization. The new RustyBrick logo symbolizes how we succeed at putting all the pieces together in an innovative and productive manner. Those pieces lay on a solid and well-thought out foundation, which is built to scale and last for years to come. From identity and branding, to web site development and custom web software, to mobile development and marketing technology - our agency has the experience and knowledge to take your idea and make it a reality. Complete the form below, mention 'Jenga' and you can win a free Wooden Tower Puzzle from our company to you. While you are at it, check out our service offerings today. The contest is now complete, we will no longer accept entries here. 2) placing it on the topmost level in order to complete it.